Following the collaboration’s announcement back at the end of 2017, Swedish label Stutterheim and Band of Outsiders have now officially revealed their joint capsule. 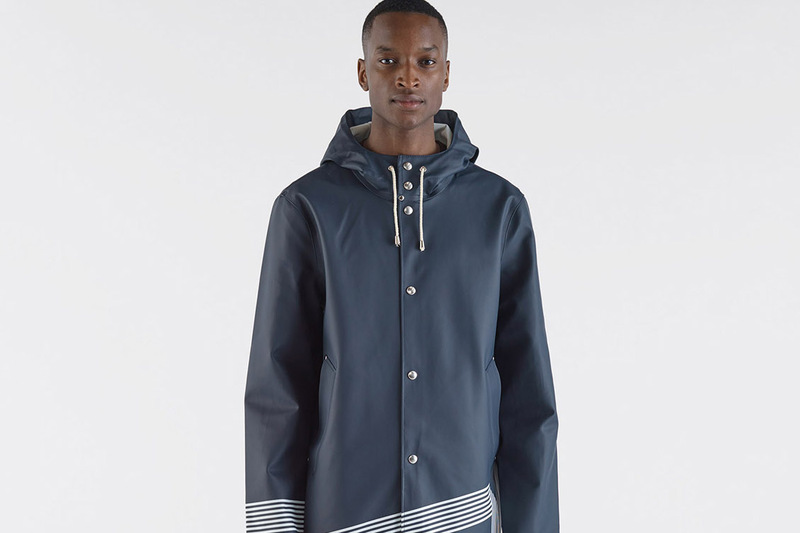 The new release sees Band of Outsiders rework the classic Stockholm raincoat from Stutterheim, with the new design tying in with the Fall/Winter 2018’s skiing holiday-themed collection. Coming in red, navy or white, the raincoats also feature a pinstripe pattern which is designed to create a slope print around the piece. This print comes in white on the red and navy coats, and in a navy color across the white coat. Take a look at the collection in the gallery above, and expect it to arrive at the Stutterheim and Band of Outsiders web stores on May 31. In other fashion news, Everpress and Amnesty International have a new capsule featuring designs from Dexter Navy, Liam Hodges and more. A new space for UNDERCOVER, AMBUSH and more. Mixing the artist’s signature characters with classic BAPE motifs.